It's that time of year again! I'm one of those people who look forward to the holidays for the food alone. For passionate home cooks, Thanksgiving especially is our time to shine. But I want all of my readers to feel excited and ready to go this Thanksgiving, even those of you who are still finding your confidence in the kitchen. 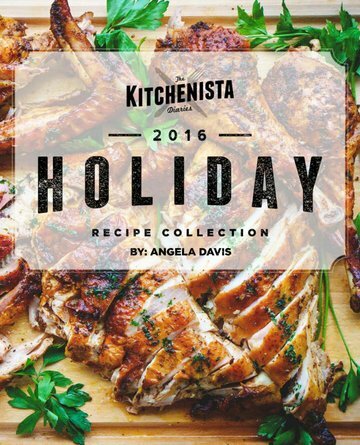 You already know I've got you covered on the recipes - and if you didn't, it's time to run and grab a copy of The Kitchenista Diaries Holiday Recipe Collection! (Scroll to the bottom of this post for a special promotion on that.) Beyond the recipes, there's still plenty to discuss about how to achieve your holiday cooking goals, whether you're aiming to be better organized this year, execute your recipes more efficiently, or branch out to try new dishes. For the next few weeks, I'll be posting all of that advice as part of my Thanksgiving Prep Guide, to teach you how to do just that. Starting with today's post, we're going to get into all of the many ways you can take advantage of the extra time in the beginning of the month, before things get too crazy! Sometimes it's hard to believe that only six years ago, my idea of planning for Thanksgiving consisted of jotting down a grocery list the day before. As a lifelong procrastinator, I remained fairly committed to winging my holiday dinners, without much consequence. 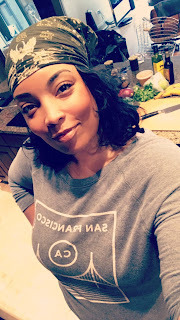 Then something unexpected happened as I gained experience cooking professionally in other people's homes and at events, where I have no choice but to manage my time more effectively. I learned to value the advantages of getting a head start on prep. 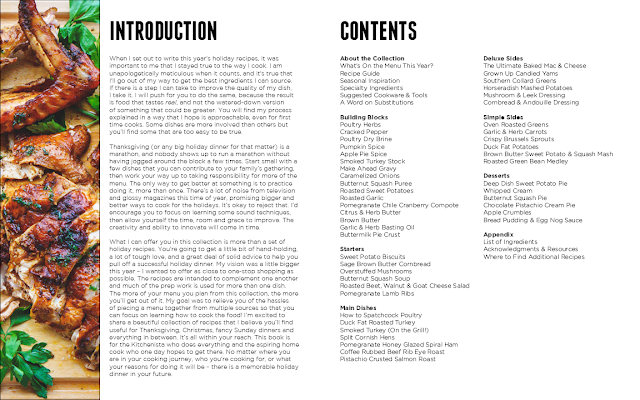 My menus benefited from the extra time to research (and even practice) new recipes. 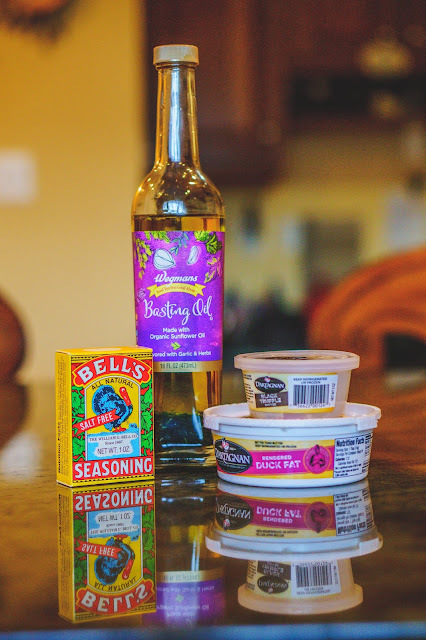 My grocery budgets were easier to manage and adhere to when I established them from the beginning, and I didn't have to compromise on ingredients that I'd waited too long to source. As the big day approaches, I feel much more cool, calm and collected than I did in the past - while remaining realistic about the healthy dose of stress that's still sure to follow. Long story short, I managed to get out of my own way. Last Thanksgiving, despite having the busiest work schedule I'd had in years, I pulled off what I consider to be my best holiday dinner yet. What stood out to me more than nailing my recipes, was how much easier the day went and how much more I'd been able to accomplish by myself. Of course it was still a long day, and exhausted isn't even the word to describe how I felt crossing the finish line. But it's exhilarating to see proof of my progress as a home cook, and Thanksgiving has been an awesome benchmark in that way. This year will be my first professional Thanksgiving gig, more than forty people! Raven and I are traveling up to Detroit to spend the week with my client and his family, who I love dearly and couldn't be more excited to plan their special day. Rest assured I am definitely taking all of my own advice this year to stay organized! Thanksgiving 2017 at our house! Create the guest list and send invitations or reminders out. Order your turkey (and/or other roasts) if you planned to source anything special, like heritage birds. Always check with your butcher/purveyor in case of early deadlines. 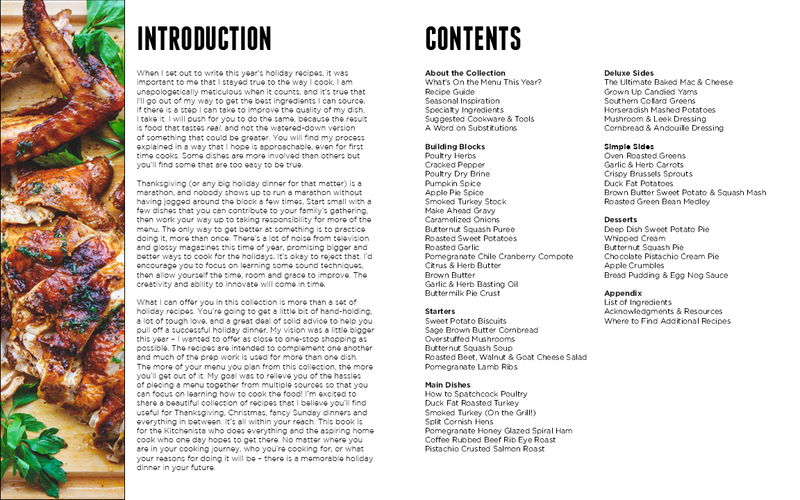 Brainstorm menu ideas, inclusive of any special dietary restrictions to consider for guests. Brainstorm tablescapes and decor, if needed. If you can, test or practice dishes as needed, perhaps cutting down the recipes to smaller serving sizes. Holiday potlucks may offer opportunities to try out new dishes that you're hoping to add to your menu this year. Roasting a chicken is a great way to experiment with dry brines for the turkey and get your spatchcocking routine down. Don't leave specialty products for the last minute. If there are items on your shopping lists that are harder to find, or only available at one store, try to source them earlier in the month. Determine the final guest count. If you're hosting a formal (plated) dinner, this needs to be a pretty accurate number. If you're planning on buffet style for a larger group, you'll have much more wiggle room to adjust for a few extra mouths to feed, or cancellations. Settle on a tablescape, if decor is part of your plan. Start shopping for cookware, dinnerware and decorative items, and/or borrow these items to make sure you have everything you'll need. Use the weekends to start cleaning out the pantry, fridge and freezer. Toss expired items, including ancient spices, old packages of grains and nuts which have probably gone rancid, forgotten leftovers and freezer burned foods. Make note of staples that need to be replaced. Don't forget things like paper, plastic and foil products. Create your grocery shopping list(s.) You may want to split your list between non-perishable and perishable items, or simply highlight the items that should be purchased closest to Thanksgiving. Create a schedule for prep and cooking tasks during the week of Thanksgiving. Communicate with friends and family if you plan to delegate tasks or need people to bring anything, including paper products, drinks and ice. Get plenty of sleep, take your vitamins, run like hell from the sick people in your office, and whatever else it is that you can do to stay healthy! You'll need your energy. Allow plenty of time to thaw a frozen turkey by transferring it to the fridge, on the lowest level possible, set on a rimmed pan or inside a bowl. Plan on a day to thaw for every 5 pounds of turkey, plus the extra day or two you'll need if you will be brining the bird. Shop for your non-perishables, pantry staples and bulk items. Clean your kitchen, clearing as much counter space as possible. Do a final sweep to make room in the fridge and freezer. Make sure you have some storage options for leftovers if the food will be staying with you. In my experience, Ziploc bags and plastic deli containers are ideal, taking up less space than traditional Tupperware. 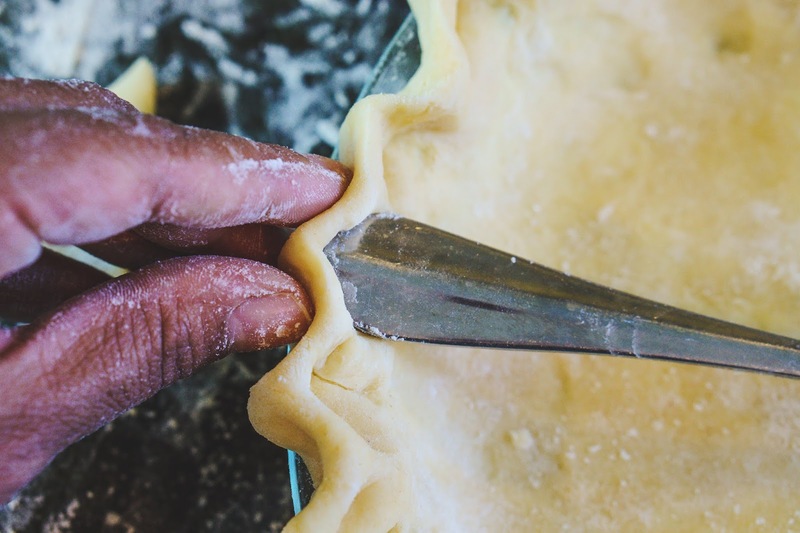 Pies are especially time-consuming the week of Thanksgiving! You'll be way ahead of the game if you have a couple batches of homemade pie dough already made in the freezer! You're going to need massive quantities of chicken or turkey stock for Thanksgiving! If there's anything worth taking the time to do in the weeks ahead of the holiday, it's preparing a batch or two of homemade stock. If you're looking for ideas to plan your menu, you'll find my best holiday recipe content all in one convenient digital cookbook. 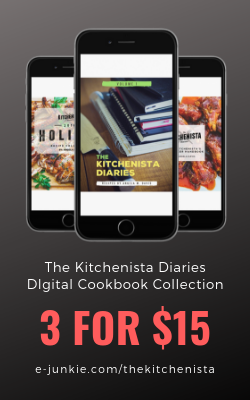 From now through November 21, take 50% off your purchase of The Kitchenista's Holiday Recipe Collection with code "Thanksgiving2018" at checkout! Later in the Thanksgiving Prep Guide, I'll focus more on how to schedule your actual cooking tasks in the days leading up to Thanksgiving. 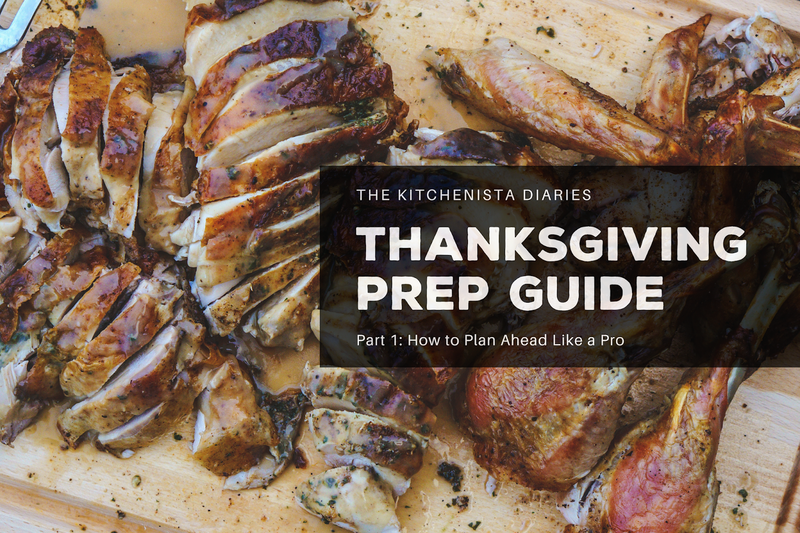 I'll share a sample prep schedule, get into the nitty-gritty details of what can (and can't) be prepped ahead of time for traditional dishes, and offer a little advice for procrastinators who squeezed all the planning into one week. No judgment, I've been there! But before all that, we'll get into things like how much food you'll need to feed your crowd, cookware recommendations, how to make some easy swaps for healthier dishes, and what to do when the inevitable Thanksgiving disasters happen. Check back frequently for all things #ThanksgivingPrep in the coming weeks, and make sure you're subscribed to the mailing list if you want to be notified on new posts!